This map details the districts of the city of Saratoga Springs after it was incorporated. This map focuses on the Broadway/downtown area. 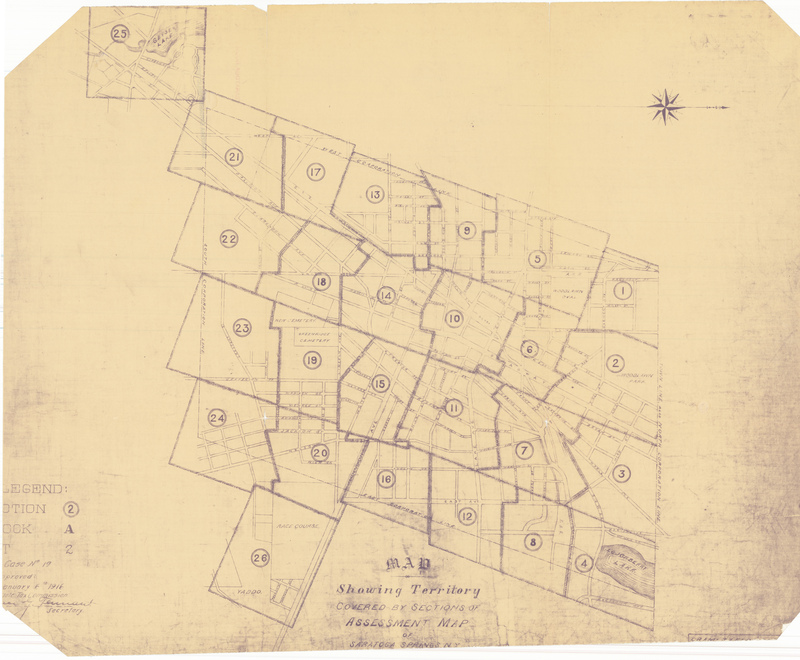 Mott, Samuel J., “Map Showing Territory Covered by Sections of Assessment Map of Saratoga Springs,” Skidmore Saratoga Memory Project, accessed April 24, 2019, http://ssmp.skidmore.edu/document/193.